What do gas, vacations, war, and golf have to do with one another? Meet some contenders for the selective journalism award I’ve just created. I’ve decided to call it “The Cricket,” in honor of the sound we so often associate with dead air. . . you know, “cricket. . . cricket. . . cricket. . .” We’ve been through this the last 4 years, and for countless topics- the media has remained silent on every hypocritical move the president makes, while history lends us quite the opposite picture of the media during the “hated” years of George W. Bush. Granted, far more than four qualified contenders could make this list (taxes, immigration, debt, deficit. . . . you name it) , but do you really want to read a blog post the size of War & Peace? Gas prices have risen every single day for the past 31 days, resulting in a national average of $3.73/gallon for regular grade gasoline. 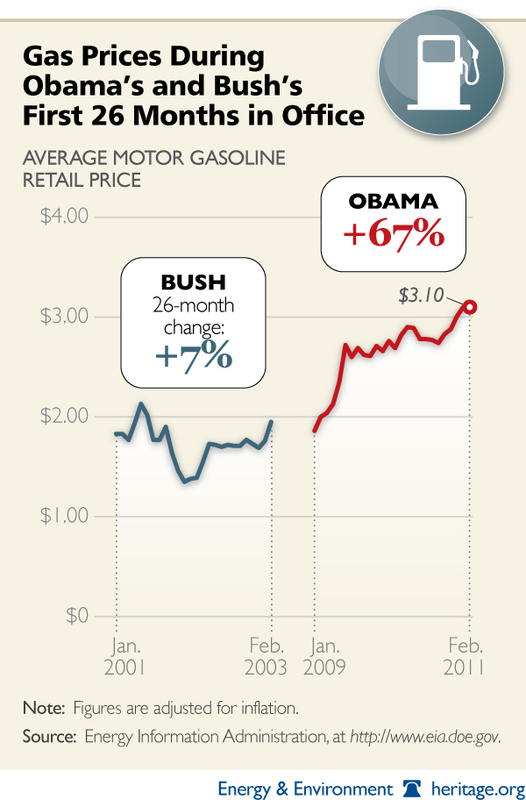 The media certainly has a great deal of catching up to do on the number of stories linking the president to the high gas prices. . . but I wouldn’t bet on it. I believe most would agree that the American Presidency is one of, if not THE most, stressful job on planet earth. After all, most people don’t want the stress managing their local Homeowner’s Association, let alone the free world. In other worlds- no one is saying the president can’t take a break. The article even went on to insinuate that had Bush spent a little less time at the Ranch. . . 9/11 might not have happened. To a couple of WashPo staff writers who are so deeply interested in the historical trends of presidential “vacations,” I’d expect subsequent pieces on the extensive nature of this president’s vacation habits would be readily at hand. . .so I did a quick Google search of the article’s authors (there are two: Jim VandeHei and Peter Baker) plus the words “obama vacations.” Shocker- not a peep. Well, if we’re being honest, Peter Baker did write a piece on how Michelle Obama’s Spain extravaganza was heavily criticized. . .though the piece was hardly as critical nor as opinionated as the former piece. Then there’s his riveting report on the president’s free-time reading. . . I realize that presidential vacations aren’t cheap. I realize that with the president must travel a full staff and security, each incurring an extra expense; the difference, naturally, is that when one chooses to simply go HOME rather than on 4 million dollar Christmas trips to Hawaii, there’s a disconnect. “But Hawaii IS his home!” snapped a Democratic strategist on Fox News this evening. Au contraire; Obama hasn’t lived in Hawaii since his younger years; while both Michelle and the family they then had made their life in Chicago. Would it kill the First Family to consider the “optics” (and the price tag of a trip on Air Force One at a mere $181,000 an hour) of a trans-Pacific flight to Hawaii versus a more sensitive cross-country jaunt to their home in Chicago? Whether or not the President chooses to blame himself for the economic straights we’re in, he can’t deny that Americans are suffering. Yet he soaked up the sun in Hawaii anyway. Care to venture a guess as to how much Bush spent on those ghastly trips to his personal ranch over the COURSE Of his presidency? A paltry $124 million. That comes out to roughly $15.5 million a year on vacation over the course of EIGHT years. Heck, Michelle alone spent close to that in ONE YEAR with her 40+ days of vacations without Commander and Chief. First of all, we’ve just established that the idea of Barack Obama as the occasional vacationer is hardly reality. Second of all, poor Barack! You mean, the President of the United States; the leader of the free world must concern himself with the pesky interruptions like “crises at home or abroad” that dare to interrupt his million dollar trip-ettes? 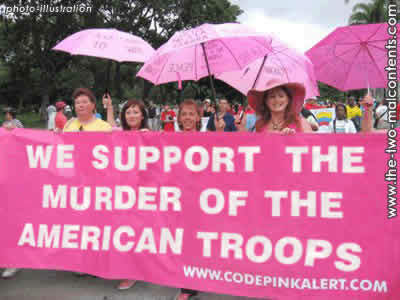 We all remember the Code Pink days, with their often controversial, anti-war, anti-Bush protests. The media followed suit, criticizing Bush for his use of enhanced interrogation, Guantanamo Bay, and the war in general. Meanwhile, Barack Obama takes credit for nabbing Osama bin Laden on intelligence gleaned from the interrogations of Khalid Sheikh Mohammed and others, Guantanamo Bay is still wide open, and while the wars are “ending,” the Obama presidency has decided to take matters into their own hands by using drones to take out their targets. These drones work quite well in the context of the battlefield; however things get a little sticky when the administration starts using them to take out an American citizen without due process. Naturally I’m speaking of Anwar al Awlaki, who I personally feel should fry for what he did; nonetheless he was an American citizen who was entitled to his day in court. Where’s the media hysteria? So now, dear readers, it’s your turn to participate. Vote below to elect A Future Free’s first ever Cricket Award Recipient! and you’ll see a 30 second clip of President Obama telling a completely inarguable and blatant lie to Meredith Viera during an airing of the Today Show. It was a lie that was clearly known to be such to Ms. Viera, but she never even blinked as it was delivered. Obama denied having raised taxes on any “people” during his first six months in office, and yet one of his very first acts upon taking office was to sign a tax increase of over 2,000% on one of the poorest well-defined minority groups in America, those so poor that they are forced to roll their own cigarettes from scraps of paper and shreds of tobacco. And now that he’s re-elected he’s heading toward doubling that tax again: bringing it close to a 4,500% increase over a five year period. I’d say that merits a cricket chorus or two, no? I’d say taxes in any category, for sure. I think the “Cricket Award” should receive the best title award for a media award of the decade. Again the facts are awesome, and your interactive poll just upped your blog to a new level equal to the “National Review.” That was fun. Thanks!! I though it was pretty clever- after all. . . that’s all we hear from the media on these and SO many other issues, right? ?